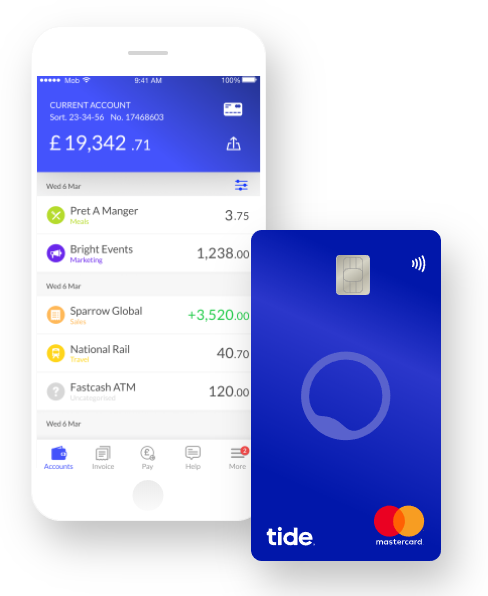 The Company Wizard are pleased to announce that we are now working with Tide.co to provide startup companies with a fast-track business bank account service. What sets Tide apart from other business bank account providers is the ability to get a sort code and account number, usually the same day and without needing to visit a local bank branch, which given that Tide are App and Web only, is not an option. You can find out more about what Tide offer in the Business Banking section of our sister company QuickFile. Tide Business Account information and setup. When you incorporate a new company with The Company Wizard, you will now see Tide alongside Barclays and Lloyds. Just tick the box to register your interest and once your company has been formed you will receive an SMS message with a link to download the Tide app and complete your pre-filled application.